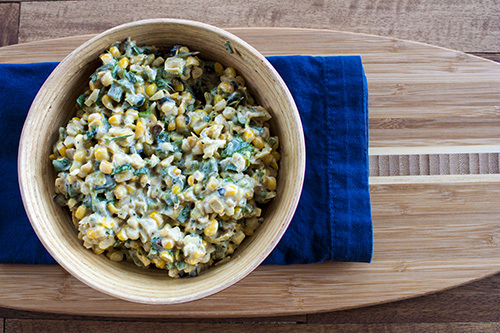 Roasted corn and habanero peppers are a powerful, flavorful combination. 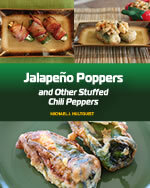 We also incorporated poblano peppers and s touch of Mexican crema to bring in a few more flavor elements. Excellet for passing around the fire. 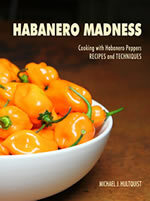 Stem, deseed and chop the roasted poblano pepper. 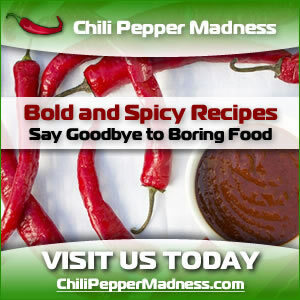 Learn how to roast chili peppers here. Add to a large mixing bowl. Heat a large pan to medium heat. Add olive oil, corn and habanero peppers. Cook about 6-7 minutes, or until corn is golden. Add garlic and cook about 1 minute more. Remove from heat and cool. Add to mixing bowl. To mixing bowl, add cilantro, lime juice and salt and pepper to taste. Mix well. Add crema and stir to combine.